Sudan Block (NDA) in 2008. Photo by Major Sa’ab. 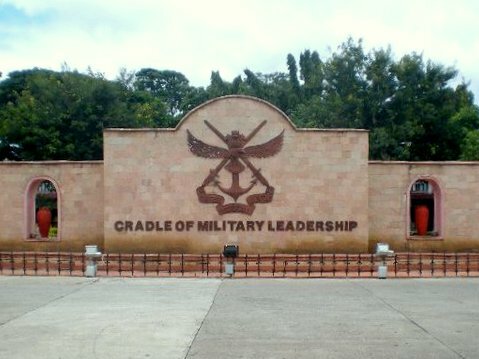 I don’t know what is it about taking the love of your life to NDA for the first time that gets all Army officers super-senti. It’s a big deal for them. Which is really surprising as very few things come in that category — the big deal category. But it is going to happen some day. The sooner, the better. 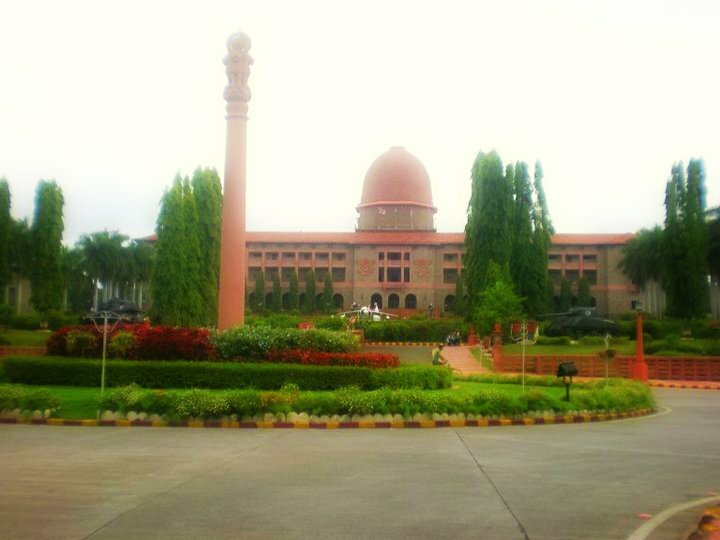 The National Defence Academy in Khadakwasla (Pune) is that place where thousands and thousands of officers of the Indian Armed Forces have spent their most crucial years of life. So when you were out with your college friends eating samosa or bunking a class to watch a movie with your crush — they were in NDA, in an ALL-BOYS academy, dreaming of what it is like to be normal! When they finally do manage to get a girlfriend/fiance/wife (whichever comes earliest), they will make it a point to take them to NDA to show them the place where ‘boys became men’. I will not go into what happens at NDA and why it’s where the foundation of a good officer is laid and blah blah. You will get to hear all that from an enthusiastic Colonel at a party someday. But I WILL tell you about all that you need to be prepared for when you visit the NDA for the first time. When Major Sa’ab (my husband) took me there for the first time, we were just a couple of months into our relationship. I was working in Pune and he had come to visit me in the tiny mid-term break during his YOs. To any other person, that would have sounded so tempting. Not to me, as I had visited NDA many times (professional hazard). I still agreed to go. A typical tour generally starts with ye Sudan block hai, ye Habibullah Hall hai, ye drill square, ye swimming pool, ye NDA mess etc. Which is a lot to take in, specially for us civilian girls. Almost every lane, ground, field, building — any place where humans can possibly tread — was used for punishments during their days as cadets. Major Sa’ab seemed to feature in an awful lot of those. Oh! It’s not ABC here, it’s Apha Bravo Charlie! So not K, but Kilo. Mental note to self. “That was my room in the first two terms,” Major Sa’ab suddenly became Raju guide and pointed towards one tiny window of the Kilo Squadron. We were doing this while standing outside as it would have been inappropriate for a woman to enter the cadet’s buildings without prior notice (for obvious reasons). And all I heard in that little speech was the bathroom thingy! NO DOORS? Is it even legal! He then took me to the juice bar to introduce me to the maushi, who promptly recognised him! She was the lady who ran the shop and a fairy godmother for all cadets. Just at that moment, a group of 8-9 cadets came and greeted Major Sa’ab! They were the current sixth termers, who were first termers when Major Sa’ab was a sixth termer. It’s complicated. More so, because they all looked EXACTLY the same to me. White t-shirts and shorts, lean, extra-small crew cut and skin that had enough sun for another decade. They all looked like clones to me. “Banana shake for everyone. Maushi…!” Major Sa’ab got the cadets excited at the prospect of having free banana shake. We all sat there for a good 20 minutes (seemed like 3-4 hours) in which they all talked about ‘Academy stuff’. That was one conversation in which I could contribute in no way. So I just sat and switched off. Hanss le beta. Little did Major Sa’ab know that he is going to hear the “Garam nai hai, fresh hai” dialogue every third day from his wife. But a truly emotional moment for us came when we went pass the lawns where the NDA Ball was held years ago, where I was Major Sa’ab’s ball partner. So that concludes the first part of the NDA darshan for me. Subsequent visits had greater details coming in from my Raju guide, with which I won’t bore you. One of our friends came to the NDA after taking a detour from their honeymoon, where the guy in question got an earful on what constitutes as a romantic visit and what doesn’t. Well, to be fair, the NDA is the place where every man’s romance with fauj starts, right?